Harness the power of the Internet by finding the best color combos for your designs. Here are our top website picks for painting with all the colors of the wind. Color CC by Adobe is an advanced tool for getting your hues just right. 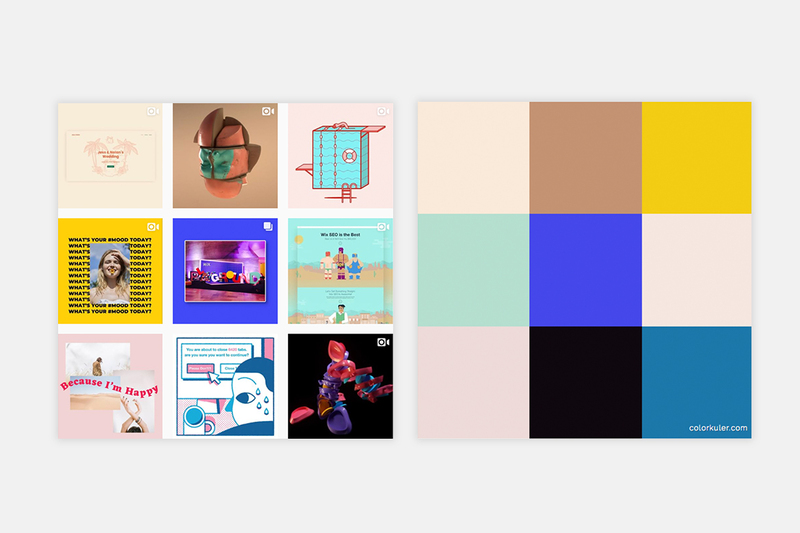 On your first visit to the site, we recommend heading off to the ‘Explore’ section, where you can browse different user-crafted color palettes at random, in order of popularity, and more. When a particular color combo catches your eye, you can customize it to your project’s needs. Hover over the color scheme for the menu, and choose ‘Edit Copy’ to start playing around with it. Now, say hello to the ‘Color Wheel’ – where the real fun happens. Here, you can tweak each color individually, or all at once, using its CMYK, RGB or other values, and control its brightness and darkness. You can set a ‘Base Color’ (marked by a white triangle at its bottom) and using the ‘Change Color Harmony’ option at the top left, find new color schemes that match that particular shade. Another useful feature on Color CC is to upload a photo or image with beautiful colors, from which the website will extract a color palette. Once you’ve reached color-perfection, there are many ways to incorporate the new color palette into your project. You can copy the hex codes into you clipboard, download an ASE file or save it into your Adobe libraries if you’re logged in with your Adobe ID. As a designer, your well-trained eye and personal style are perfectly on-point. Now, train a computer to share your exquisite taste level – and think of the perfect color matching it could do for you! New York based designer George Hastings rose to the task when creating Khroma, a website that figures out your color preferences using machine learning, and generates unique and personalized color combinations to match. When first opening Khroma, you’ll be asked to pick out 50 color shades that you love. Singling out 50 favorites does take a bit of time, but clicking on pretty colors can hardly be considered a tedious task. 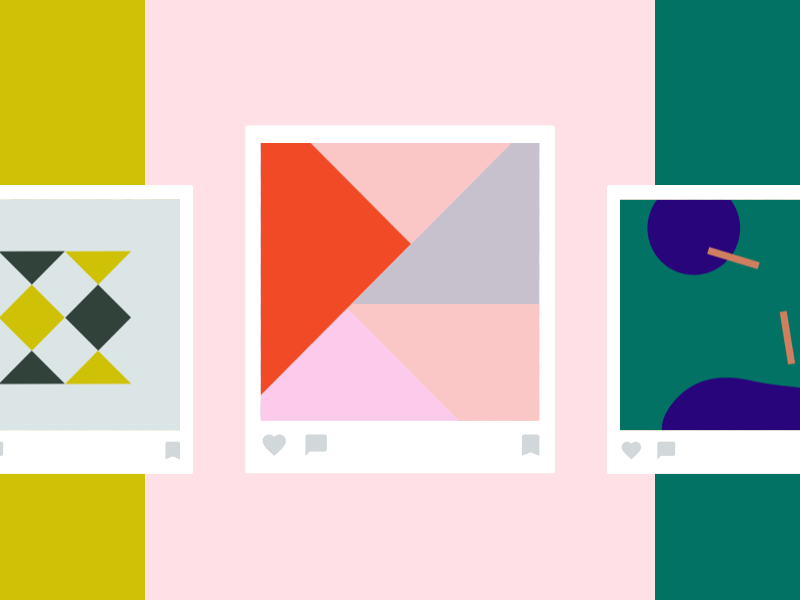 Once you’re done, the Khroma algorithm will generate color combos in five different displays: type on a colored background, color blocks, gradient, two-toned photographs and lastly, four-color palettes. The combinations are laid out as an endless, Pinterest-like scroll that encourages discovery, or “digging for gold” as George writes on his website. Gold, and countless other colors, too. Coolors is a highly useful and professional tool for perfecting the color scheme of your choice. The website welcomes visitors with a randomly generated palette of five colors to fill your screen. Press the spacebar for more random color schemes and watch as your screen goes into color party mode. Once you hit a color combo that you like, hover over any of the colors for a menu. Using the different menu options, you can find similar shades of the same color, drag the colors elsewhere to rearrange your palette, adjust them by hue, saturation and brightness, or lock them. Coolors also allows you to upload an image to the site, and extract a color scheme directly from there. Once you’re happy with your palette, you can export it as a URL, PNG and more, or copy the hex code to use in your design. Coolors is also available as an iOS app. Material Design is a design system developed by Google, whose purpose is to standardise a cohesive look-and-feel and UX across all digital platforms. Color Tool is just a small fraction of a staggeringly rich database of information and tools that Google’s Material Design provides. This simple and friendly tool allows you to test what your color palette might look like as part of a user interface. The Material Design color system adheres to only two colors, a primary and a secondary, together with their light and dark variants. This limited palette ensures harmony, and together with a strict approach to text legibility and accessibility, it still allows for enough color leeway to ensure that all UI elements are easily distinguishable. These complex principles are much more approachable after a quick dive into the Color Tool. Once you select two colors – a primary color and a secondary one, the tool generates a few variants of each to match. The color scheme is then displayed in six UI wireframe examples, giving you a sense of how it would later come to life in your design. Color Tool also runs a quick accessibility test for you, letting you know whether your color schemes deem type legible. In case you have a color that you want want to base your color palette around – whether it’s a brand color, or just a shade that you really love – ColorSpace is the place for you. Enter your hue of choice using its RGB values, hex code or by recreating it straight on the color wheel, and click ‘Generate’. The website will instantly produce a generous amount of color combinations to match your color of choice. With anything from a gradient palette to a classy mix, you’ll discover many different paths you and your color could venture on. 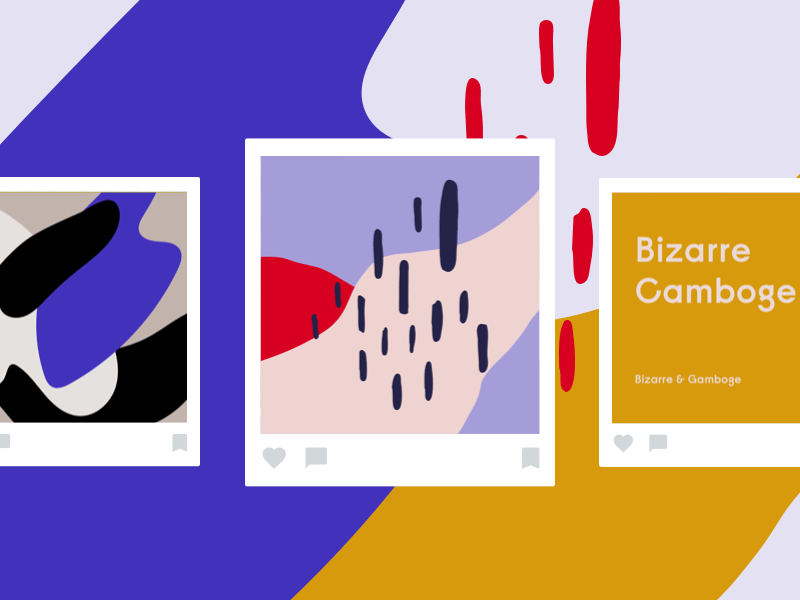 If you showcase your design work on Instagram, ColorKuler can be a fun experiment to extract your true colors from. It’s as easy as typing in your handle to see what color scheme comes up. This website can be a useful tool in deciding on a color that still feels like you, at those moments when you’re feeling indecisive. The only side note is that your account must be active and public for ColorKuler to be able to perform its magic. Love the color palette that you’ve chosen, but still in need of inspiration on how to use it right? 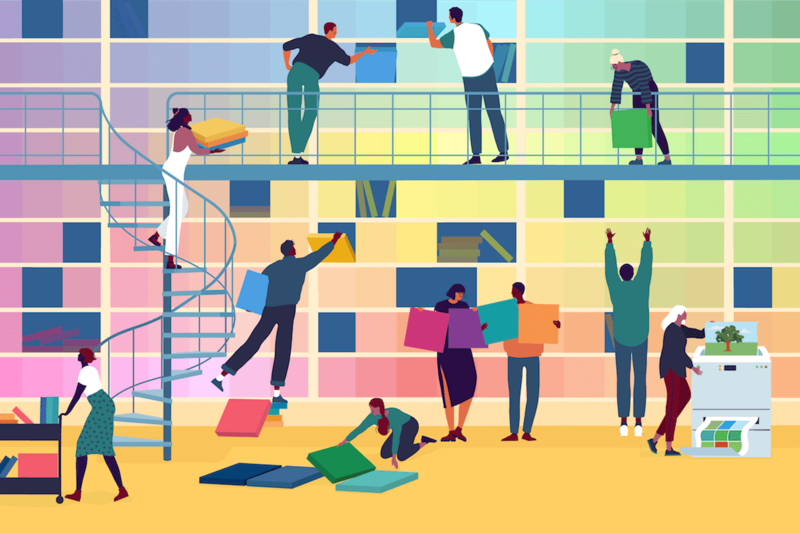 Designspiration’s color search allows you to select up to five colors and browse a variety of designs that share the same palette (and make it work). You can get even more specific by typing in the kind of design content that you’re interested in – such as infographics or hand lettering – or any other keyword relating to the content you’d like to view.